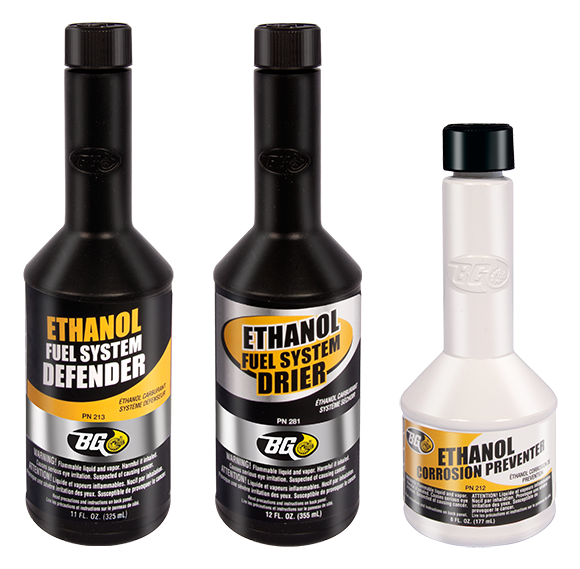 The Ethanol Problem – BG Products, Inc. If a gas station is switched from conventional gasoline to E10, much of the sediment, oxidation residue and other contaminants in the storage tanks and lines can be dissolved or suspended in the new fuel. Contaminants can cause premature filter plugging and injector fouling. In addition to lost mpg and power, deposit formation is also more common in ethanol-containing fuel and can further interrupt the fuel/air ratio causing more severe driveability problems such as inefficient combustion, decreased performance and reduced throttle response. Ethanol-containing fuel can hold a limited amount of water, which is highly temperature-dependent, before the fuel experiences phase separation and a large percentage of ethanol and water settle to the bottom of the vehicle’s gas tank. Moisture can cause corrosion to the fuel system and erratic engine operation. Ethanol is a mildly acidic molecule which accelerates the corrosion process in iron-based alloys or aluminum, brass, bronze, silver, lead and other alloys found in most fuel systems. In 2011, the EPA (controversially) approved the use of E15 with required fuel registration and pump labeling. According to the EPA, E15 won’t harm 2001 and newer vehicles because their hoses, gaskets and seals are specially designed to resist the corrosive ethanol. 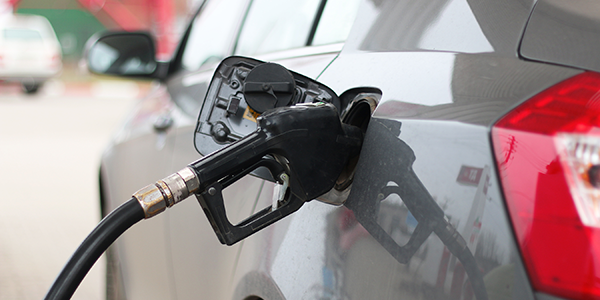 EPA approval and OEM threats aside, it is ultimately up to consumers whether they fill their tanks with E15 or stick with the more standard E10 (or even go out of their way to buy “pure gas”). Either way, they’re going to need something to keep their fuel system clean and protected. And BG’s got just the solution!